Perfect bag and shirt! You look beautiful! Great look! 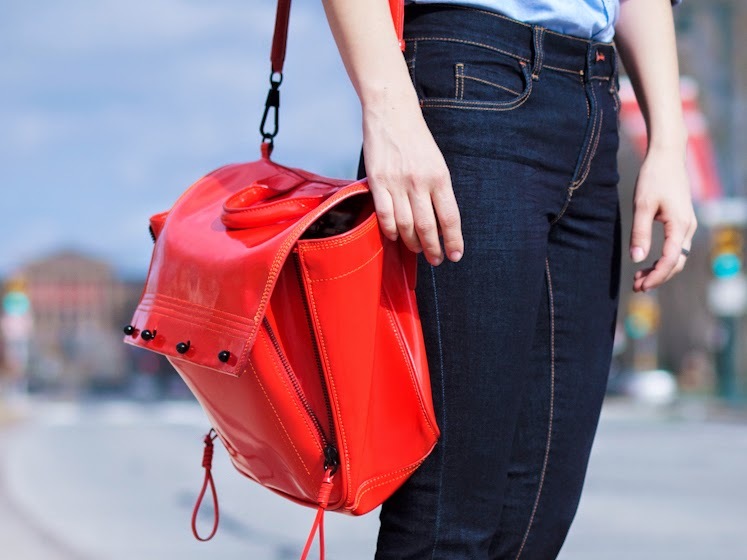 The red bag is absolutely amazing and what a beautiful color! I’m so obsessed with this! From your hair to your shoes, it’s perfectly styled! I love the simplicity! Cute look! 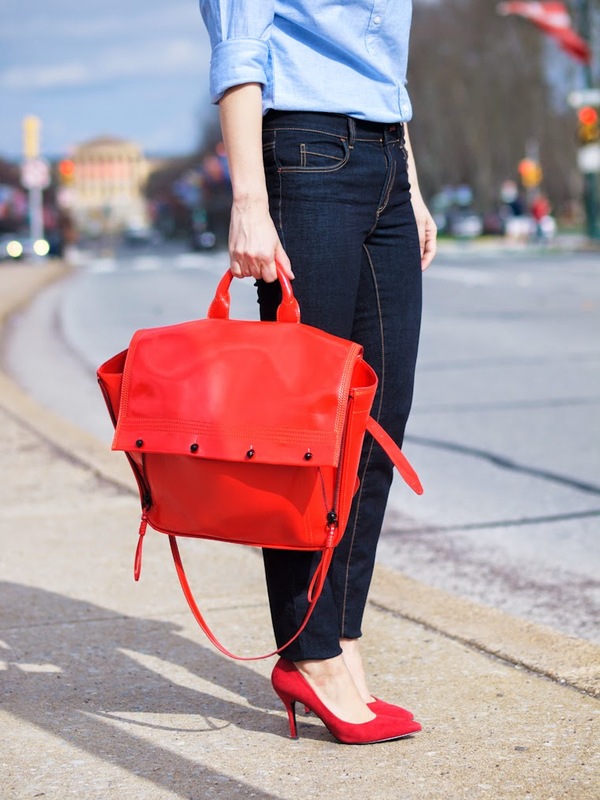 Loving your denim and bag! Great casual look; love the red accent accents!